My love for a good brunch knows no bounds. And regular readers of the blog will know just how far I’ll go for a good Eggs Royale on a Saturday morning. But this week, I deterred slightly from the usual. I went for something different. 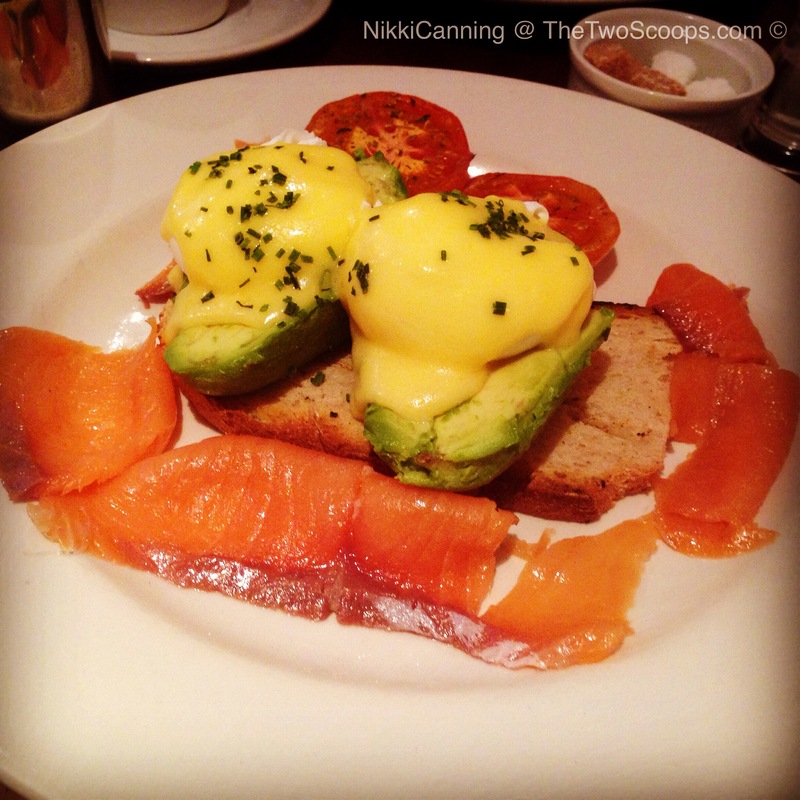 What you’re looking at is the amazing Avocado Heaven at Scoffers Kitchen, Battersea Rise. Two halves of avocado filled with poached eggs, topped with hollandaise, with granary toast & balsamic tomatoes. And of course, being me, I asked for a side of smoked salmon on that. 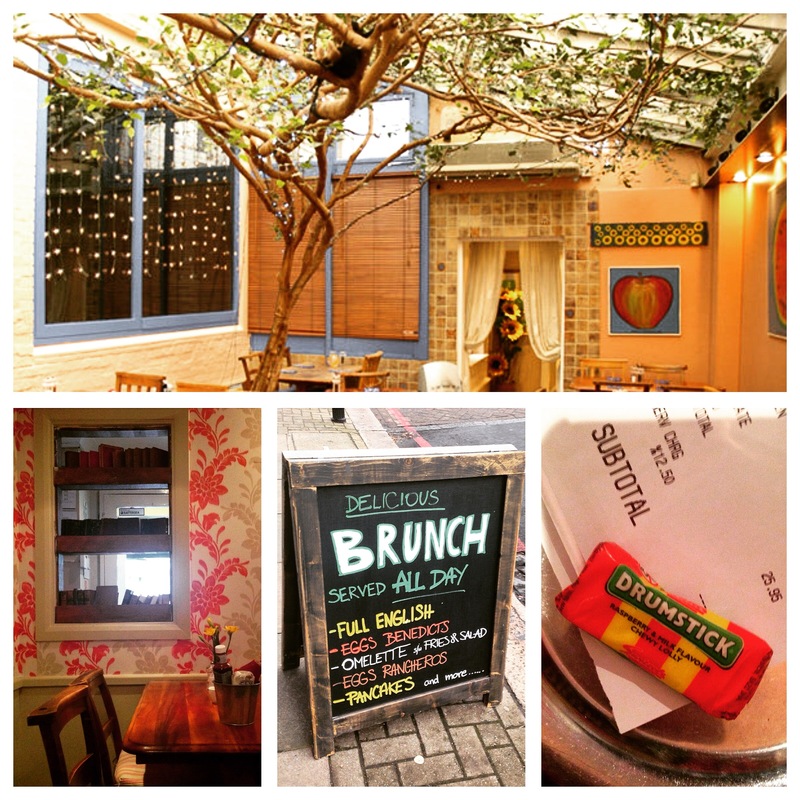 Just look at all that brunch-tastic goodness! And what could be better than tucking into this on Saturday morning you ask? Being warm and cosy inside, with a steaming cup of kicking coffee, while under the canopy for a tree. That’s right, there’s a tree happily growing within the dining room that covers the rafters in leafy branches and twinkling fairylights. Scoffers is a family owned business, starting back in 1996 when two brothers – Kevin and Mike Victory – opened up the Kitchen. Being slightly hidden off Battersea Rise, locals tend to keep it a secret. And I’ll admit that I was pretty smug being able to walk straight in and get a cosy seat while watching others across the road queue in the February cold for Breakfast Club. The sister company to Scoffers Kitchen is the chain of quality butchers – Cleavers (right next door on Battersea Rise and on the Old York Road, Wandsworth). All Scoffers meat is from Cleavers which is free range and comes from small holding farms, all of whom responsibly and traditionally rear their livestock – often raising just 30 animals at a time. I really admire their commitment to good, quality and seasonal ingredients – and all at a pretty reasonable price too! And the bill comes with Drumsticks. What more could we ask for?